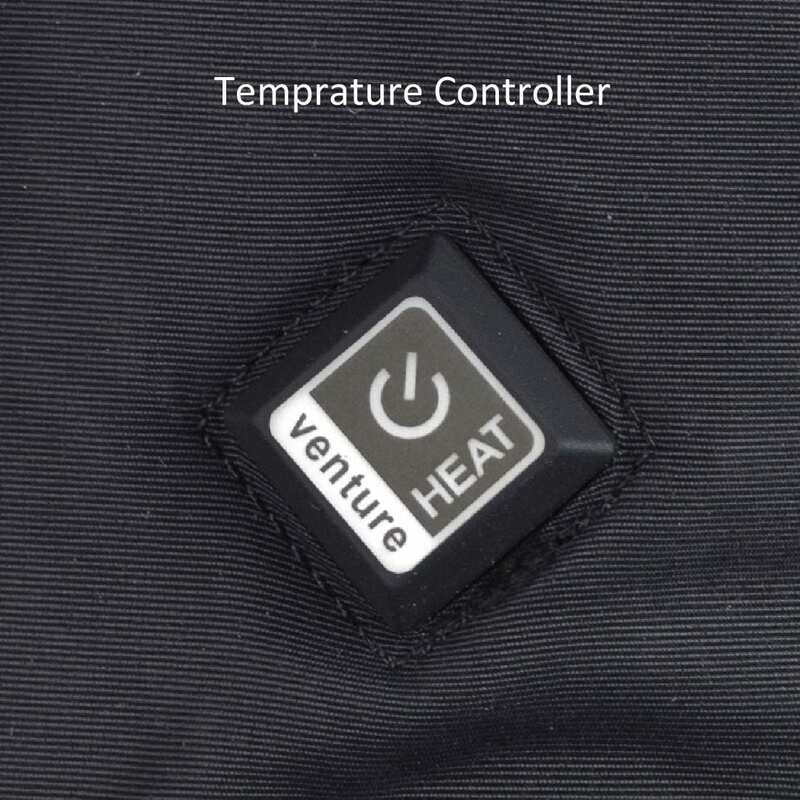 Venture Heat Avert Battery Heated Glove Liners are one of the best sellers simply because of their ability and flexibility to add a heater to any glove, for any activity. The industry-leading carbon fiber heating elements run around the perimeter of the hand and fingers, without the use of wire or copper that will eventually fail after one too many times closing the hand. This is what sets Venture Heat apart. Keep your adventure going this winter and add your own personal heater to any glove with the rechargeable Avert Battery Heated Electric Glove Liners. 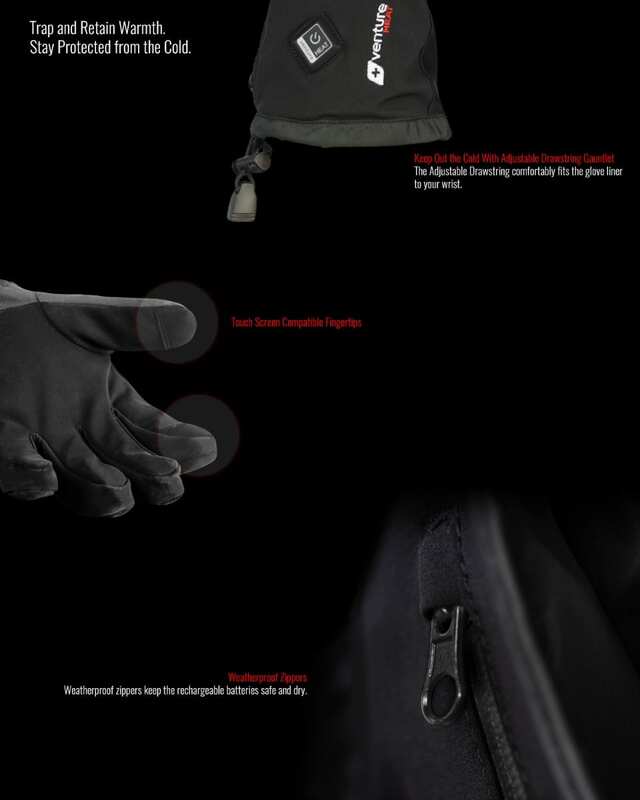 As used for many years by the Australian and US Defence Force Venture Heat’s latest generation of Avert Battery Heated Glove Liners feature hair-thin heating elements on the perimeter of the hand, starting from the wrist then running in between each finger and fingertip until it reaches the other side of the wrist. 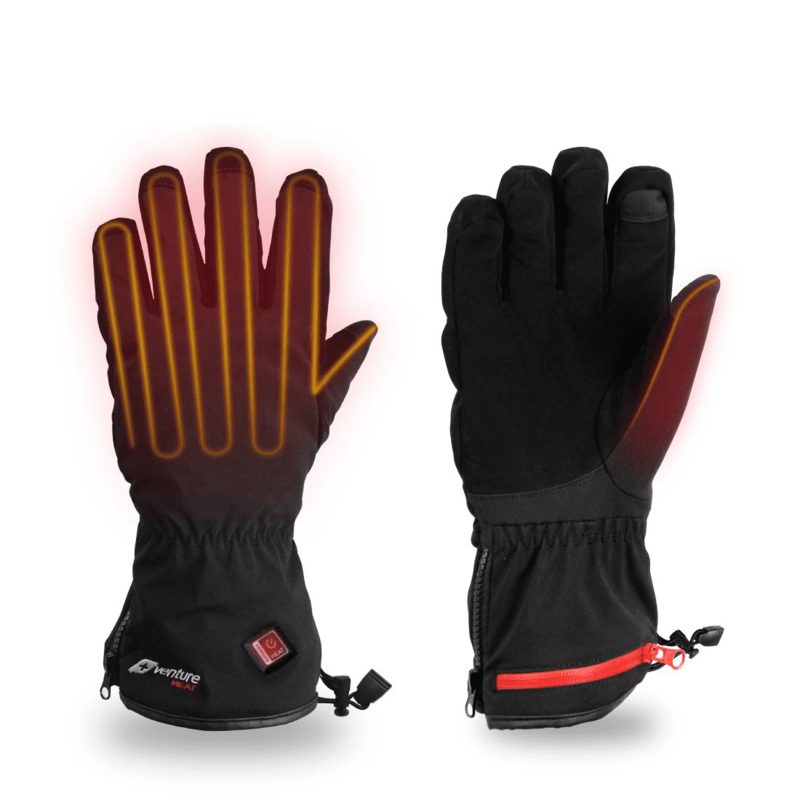 The Avert Battery Heated Glove Liners also feature form-fitting flexible design so the heating elements press up against the hand and fingers. They come with slimline rechargeable batteries and charger included to give you 5+ hours heat with the choice of 3 different settings, so you can enjoy your activities in the cold for longer. 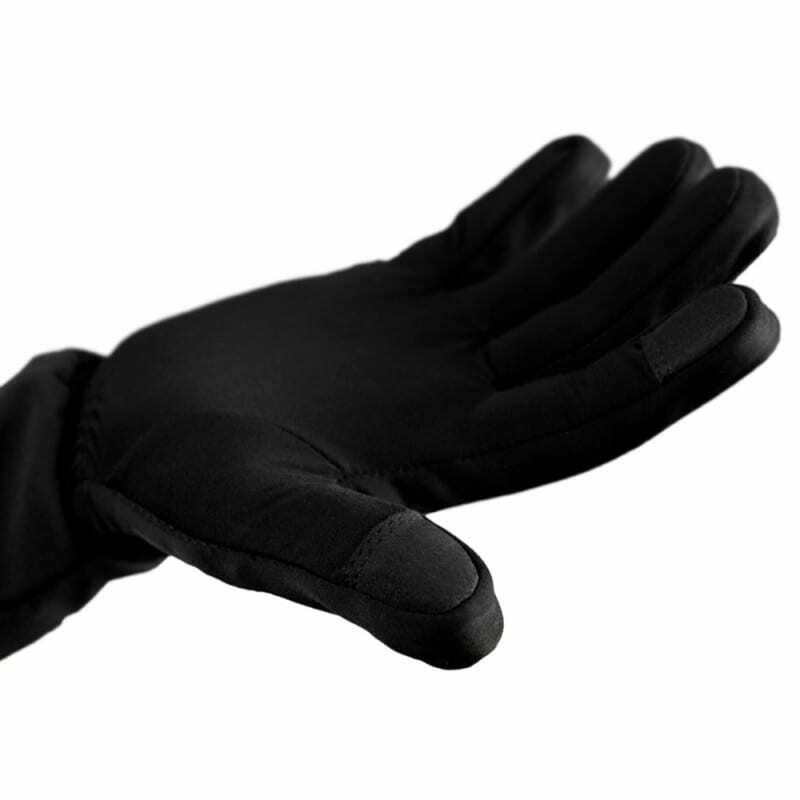 The Venture Heat Avert Battery Heated Glove Liners are designed for easy inserted into your existing winter gloves for added heated comfort. 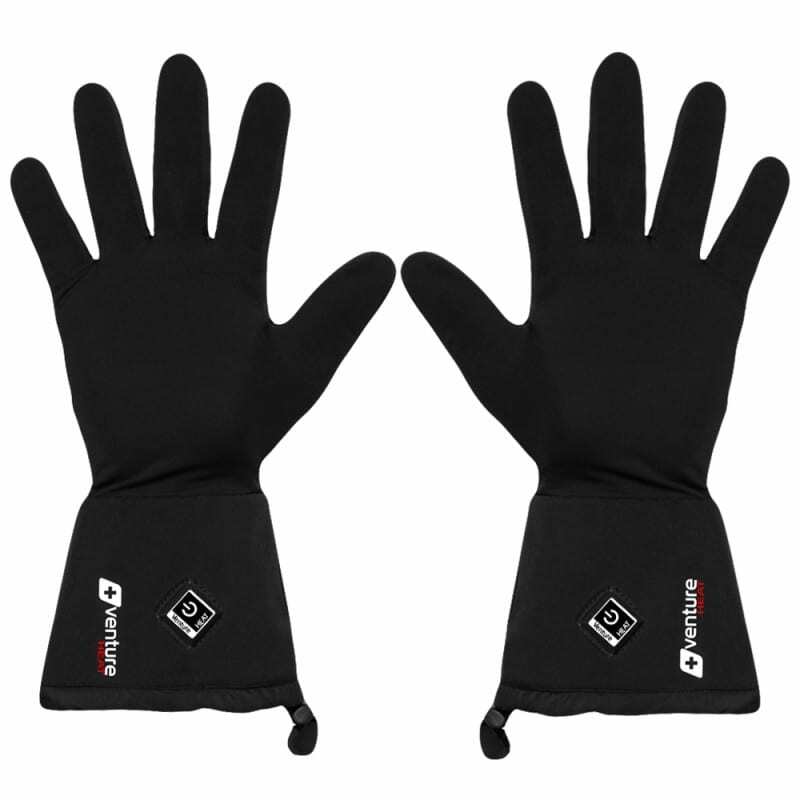 Your existing gloves will work with the liners to trap the heat in and help keep the winter along with the Avert softshell top to provide additional wind protection. 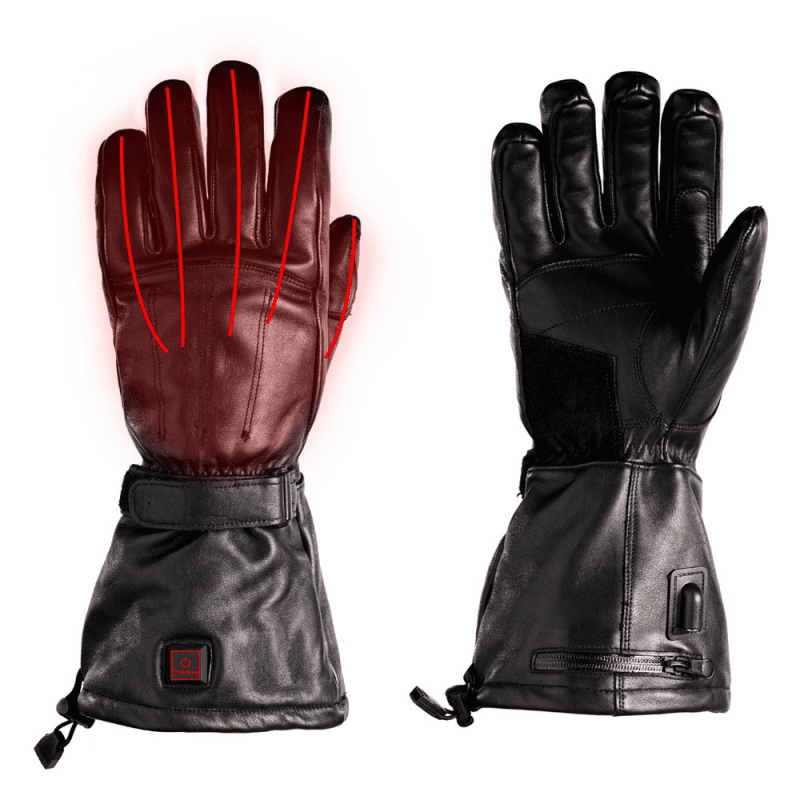 This perfect combination of sleek design, weather protection, and extra heat will keep your hands nice and toasty in cold weather. In winter the very first part of the body to go cold is your fingers and once this happens the rest of the body follows so you want to make sure your hands are kept warm. With normal gloves, once your hands get cold, there is no way of getting the body temperature back up without going inside and finding a heater somewhere. Our rechargeable battery glove liners fix this problem since in-built heater goes everywhere with you. 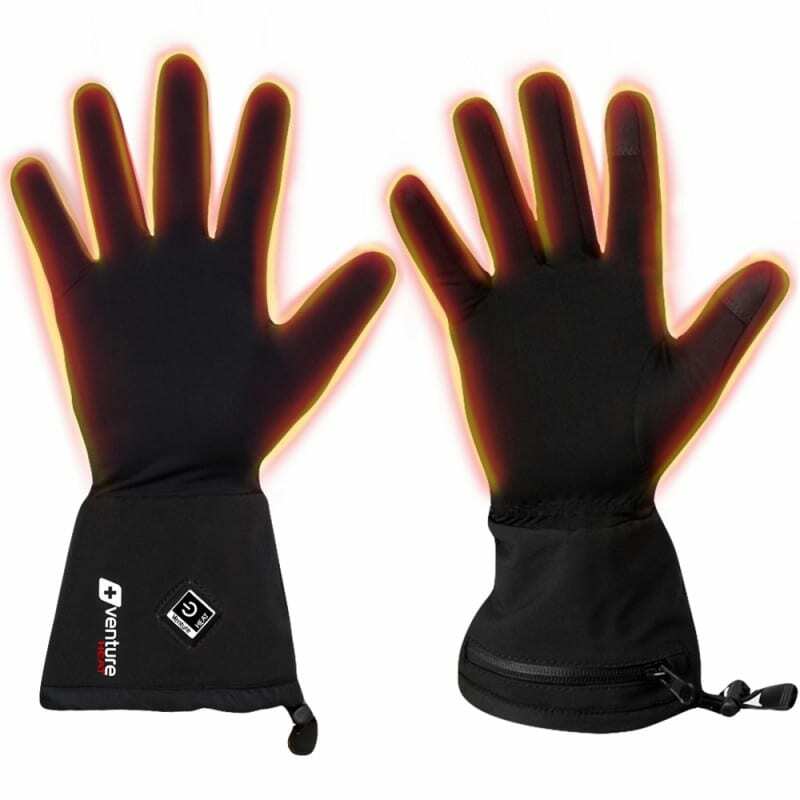 They are great for motorcycling, skiing, camping, paragliding, Raynaud’s or arthritis relief or for those who just simply want warm comfortable hands. Eliminate Cold those cold hands and fingers this winter and keep doing the activities you love. 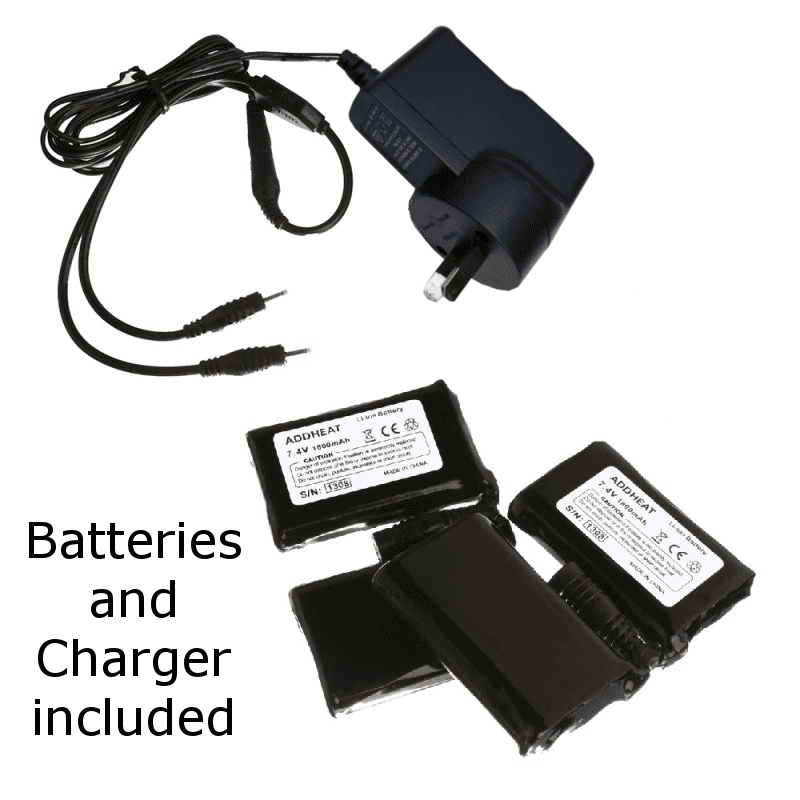 Rechargeable batteries and charger included with Avert Battery Heated Glove Liners. 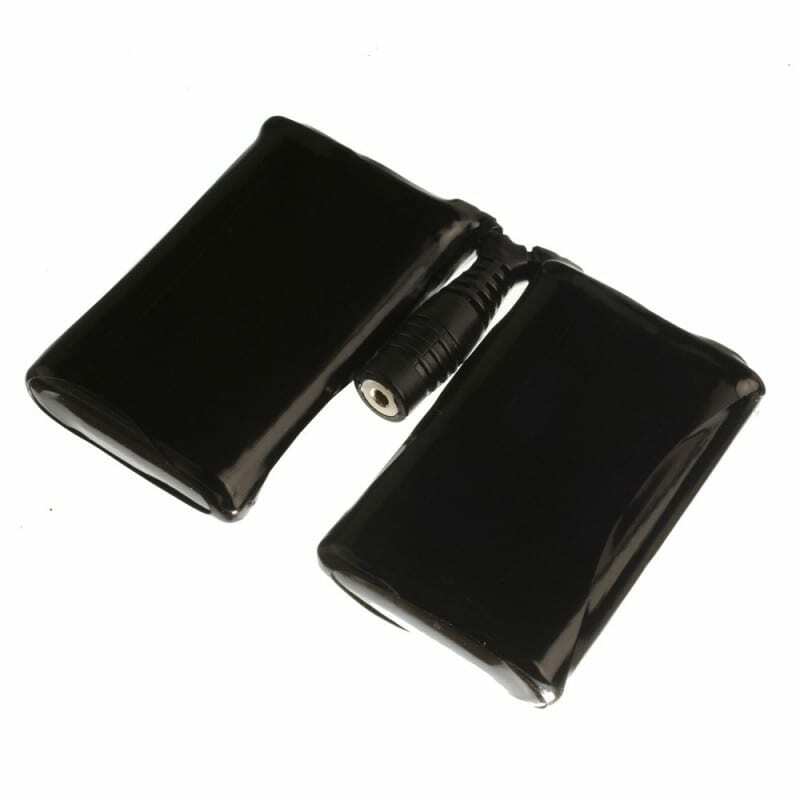 Spare BX-25 batteries are also available. Q: Are the battery included? Q: What are the heating times? Q: Are the gloves waterproof? A: They are an inner glove. 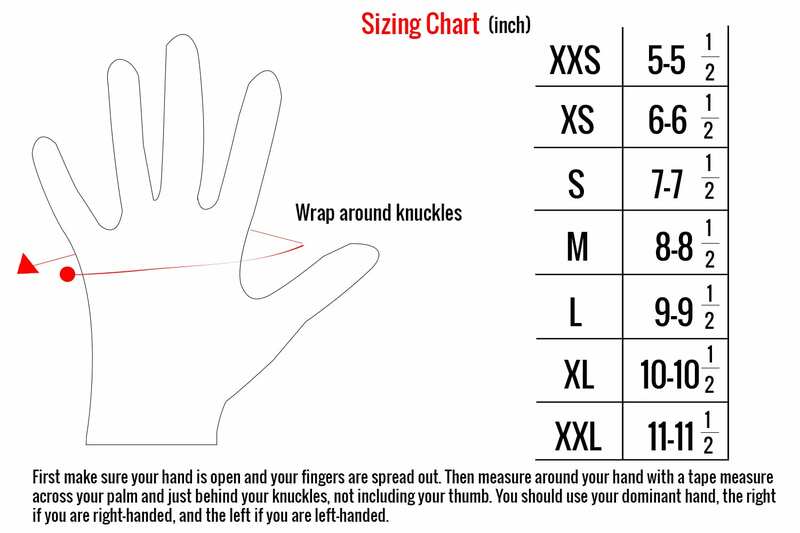 This means they are designed to go inside your existing gloves. Q: Do they have to be inside another glove? A: They don’t have to be but to trap the heat in and be most effective, they will require some sort of glove over the top. A: They are about as thick as any other glove liner. They are designed to compress once placed in your glove. As long as your gloves are not skin tight they should fit. See the video tab for more information. A: They are a multipurpose heated glove. 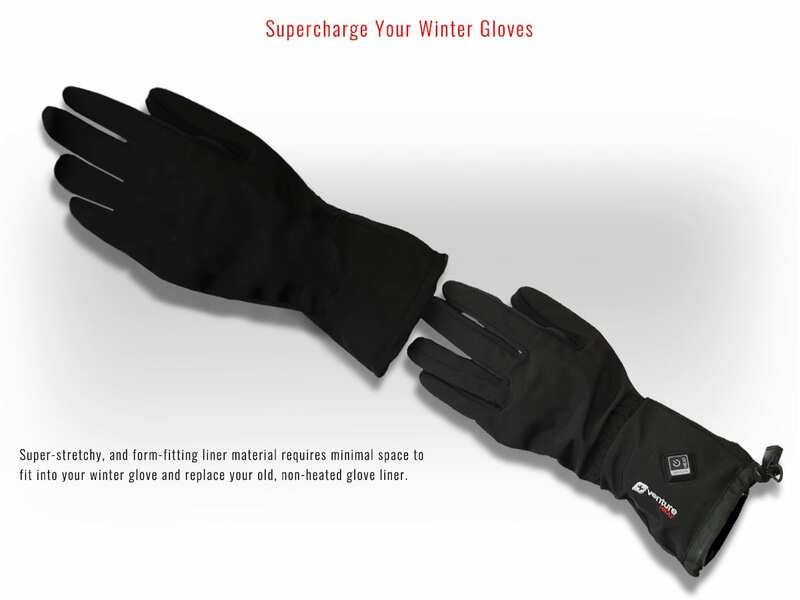 They are very popular with motorcyclists as well as snow lovers, raynauds sufferers, cyclists, campers, workers or just everyday use. 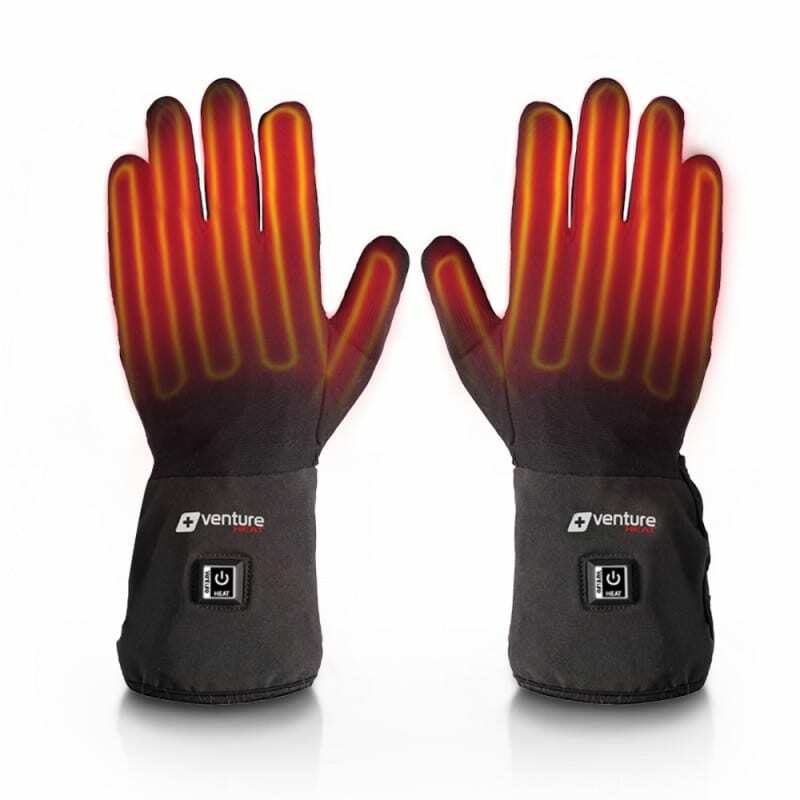 I’ve been using Venture Battery Heated Glove liners for all my chilly bike rides for over a year, rain hail or shine, and I love them. They fit under my normal leather riding gloves. Which delighted me – because I wasn’t sure how well that would work, before I bought them, and didn’t want to change my gloves just yet. The heat is instant all over my fingers, and I usually get a 2 hour ride without any sign of fade. They have a lovely soft “thick” feel, and they still manage to fit inside my normal gloves. Although pulling riding gloves over the top does require a bit of a push. 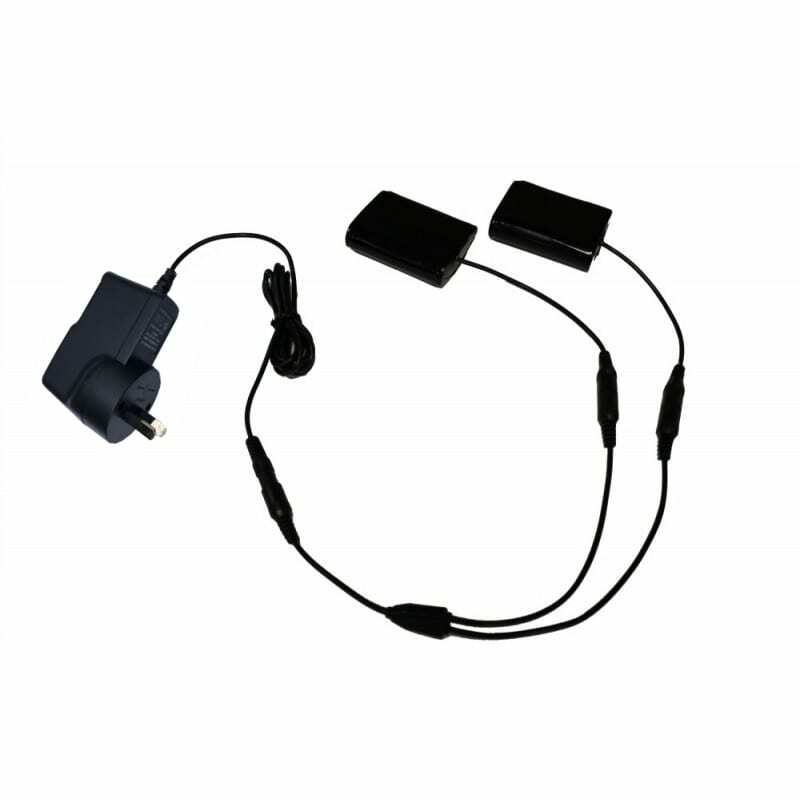 I chose the battery pack to avoid complications of being tethered to the bike. If ever I need to ride longer than the battery lasts, then I’ll buy a second set of batteries and keep them charged in my panniers, because it’s a simple 3 second job to swap them. The three heat settings are pretty good. The lowest is what I usually use, in Sydney’s winter, with the occasional medium setting on a really cold day (by Sydney standards). The hottest setting is absolutely toasty, and not necessary for me in Sydney. With ordering them on-line I was concerned about getting the right size, but the sizing page that I printed from the website worked perfectly because the liners that arrived were just right. I work in an open warehouse as a forklift operator, and with the cold morning temperatures, and/or all day cold weather can triggers my Raynaud’s Phenomenon symptoms. These glove liners heats up my fingertips, which help relieve my Raynaud’s Phenomenon symptoms, by improving my blood circulation and regulating my hands temperature. 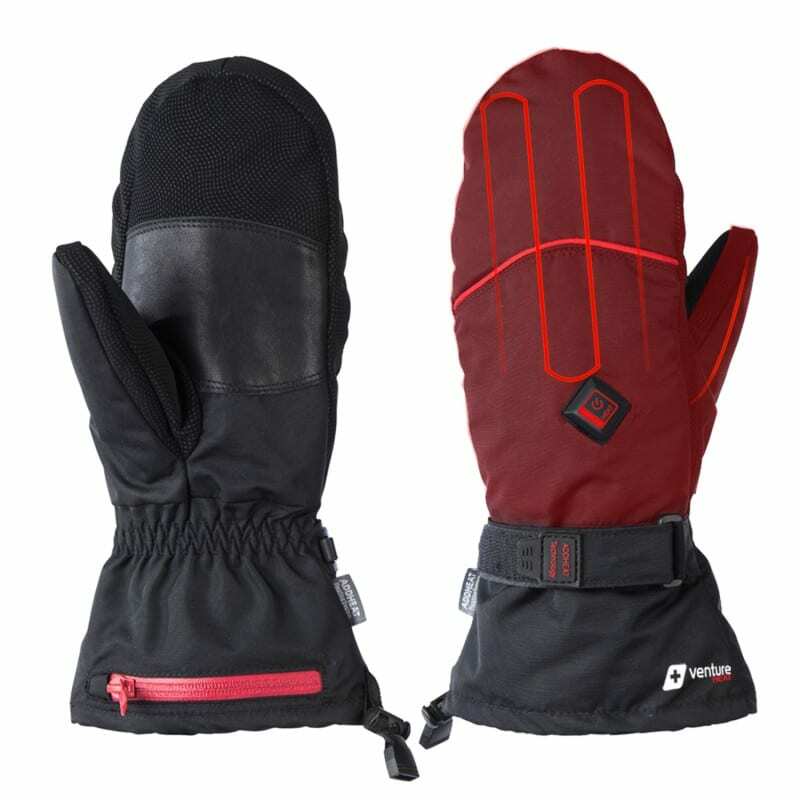 It is a bit of a slight tug to pull the windproof gloves over the glove liners, but comfortable fitting. I find these glove liners are safe and non-invasive to wear. With my condition, the high temperature (2 hours) setting works better for me. Therefore second set of batteries are needed. As a long-time sufferer of Raynaud’s syndrome, which causes poor circulation in toes and fingers in cold weather, aggravated by vibration (i.e. 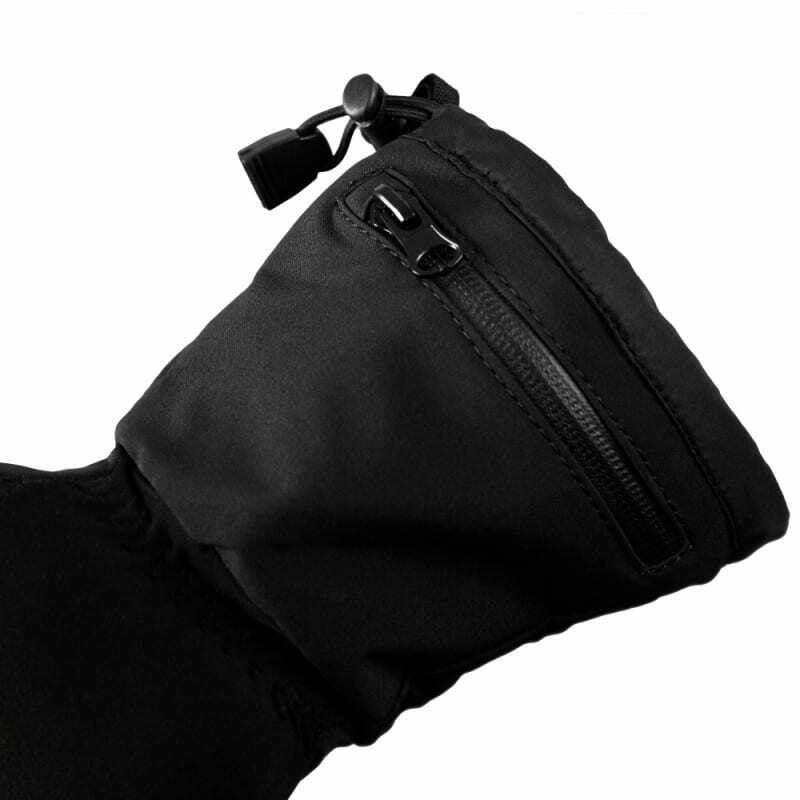 through motorcycle handgrips), I have found the Venture heated glove products from Zarkie to be a salvation when riding in the cold. I own Zarkie’s heated gloves (battery-operated) and two sets of heated glove liners (battery and 12V versions). 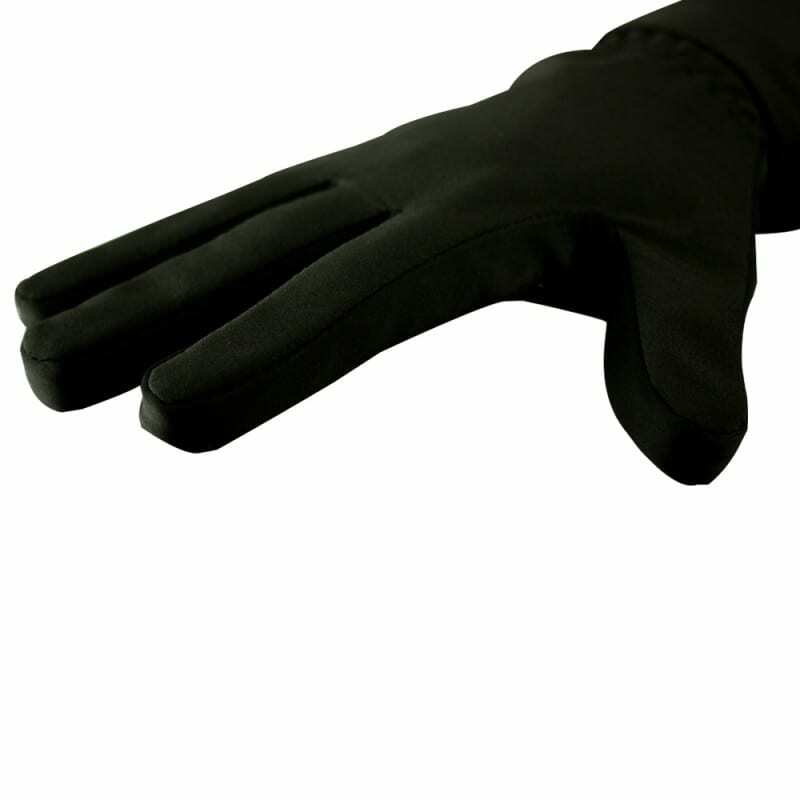 Whilst all are effective in reducing my susceptibility to ‘frozen fingers’, I have found that wearing the liners underneath (extra large) leather gloves to be most effective in keeping my hands warm. The battery-operated liners are good for two hours per charge on high (which I mainly use.) For longer trips (i.e. 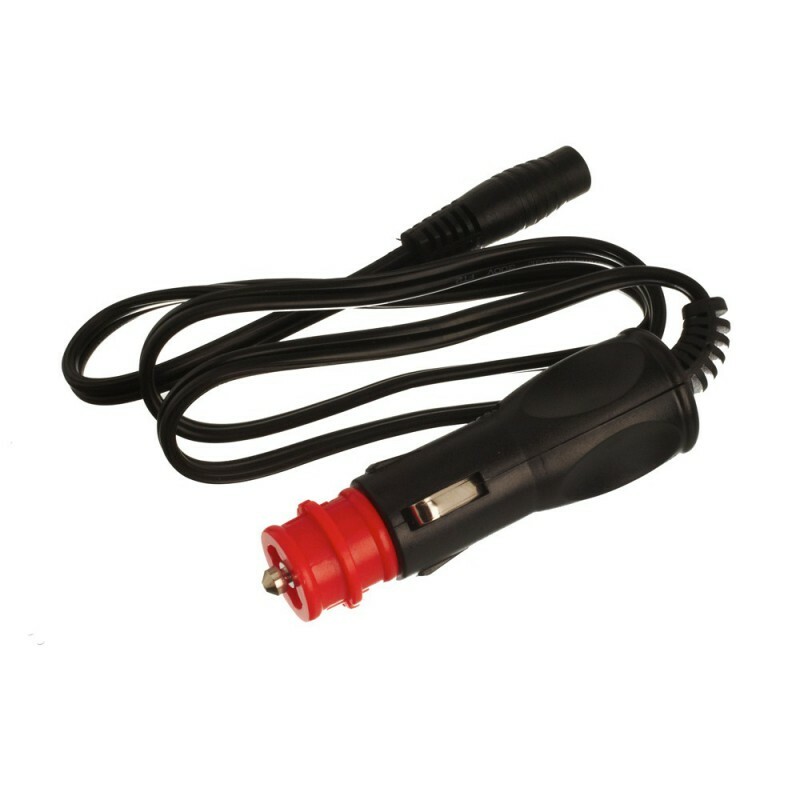 riding all day) I use the 12V liners which attach easily to the accessories socket on my BMW F700 GS. I wouldn’t be without them for cold-weather riding – highly recommended. I now look forward to trying out Zarkie’s new heated socks, to keep my pinkies warm too. These are amazing and a life changer for me. Every time I get slightly cold (below 20oC), my fingers get an attack and it extremely painful. These heated glove warmers are allowing me to do regular day to day things during winter without constant pain. Absolutely love these gloves and won’t be going anywhere without them. 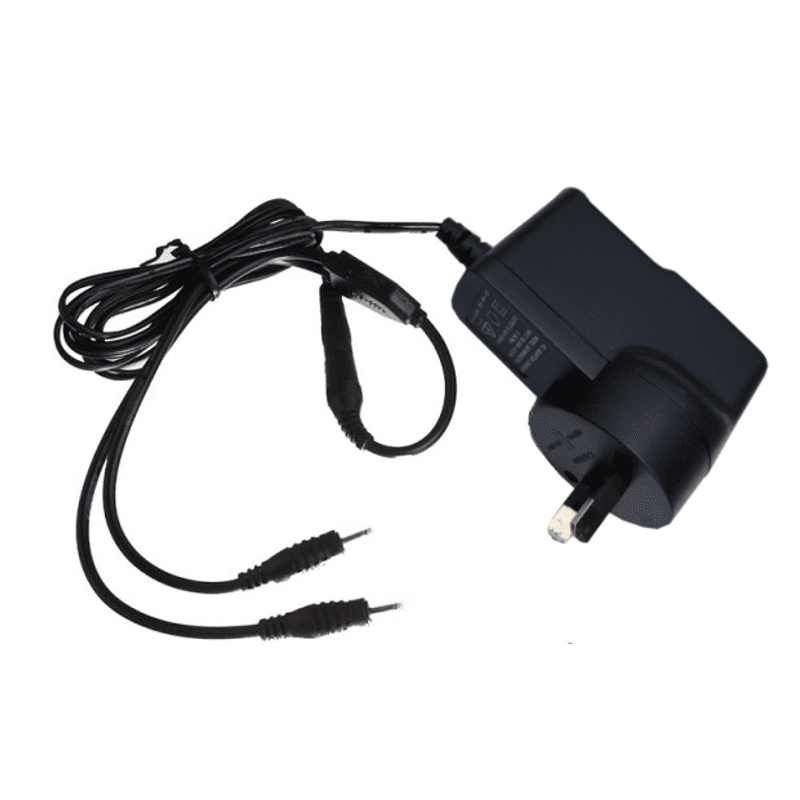 Have just ordered more batteries and chargers as you will need to replace batteri e every couple of hours. I just turn my gloves on as soon as I feel my fingers start towards and attack and then once they are feeling ok I turn the gloves off again to conserve batteries. Tried these in Northern Norway in winter for a photography trip. Minus 20 and then the windchill. For the first time ever my hands were just cold. Not frostbitten or ischaemic. That is such a step up for me! And I could actually take photos with them on too. Once inside a mitten with a chemical hand-warmer I could regain temperature. I have the XS and they are still a little large on me (I am a smallish female) but this has changed my life. Beware – airport security said that they look ‘shady’!!!! A battery with a lead coming out of it apparently looks suspicious.